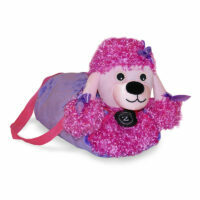 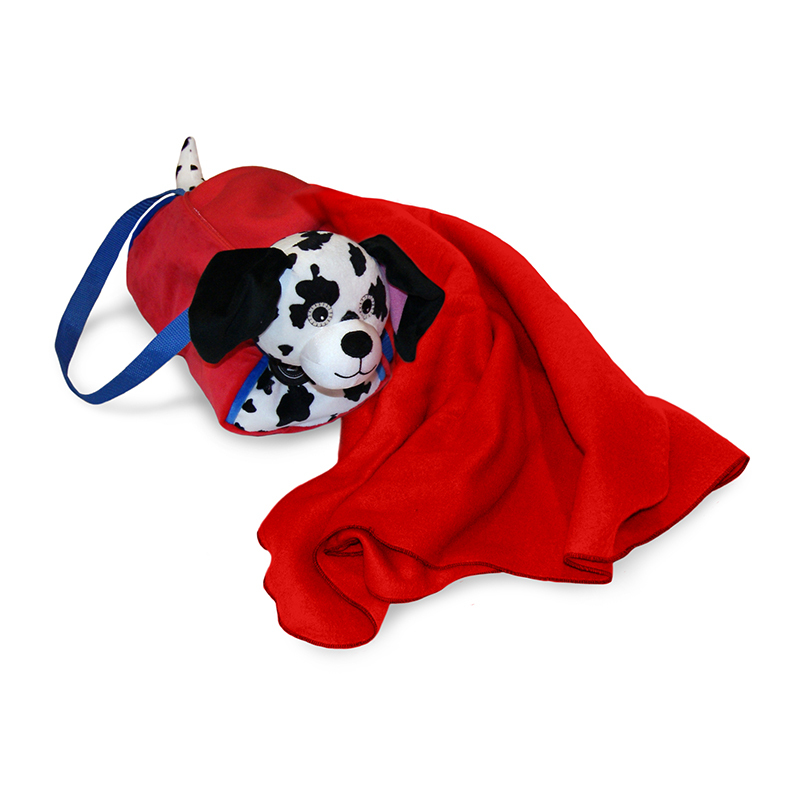 From his super-soft fur, to his cute black spots, Dot™ is sure to win over the heart of your little one. Not only is Dot™ an adorable dog, but he is also a duffel bag complete with straps for carrying and a super-soft blanket zipped inside. 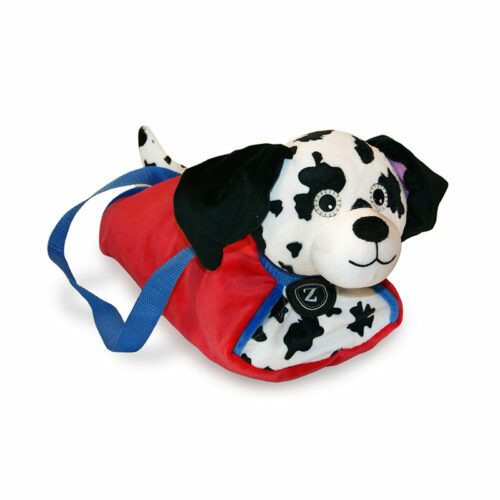 Your child will love carrying all sorts of little belongings in his/her bag as he/she and Dot™ head out on their latest adventures together.